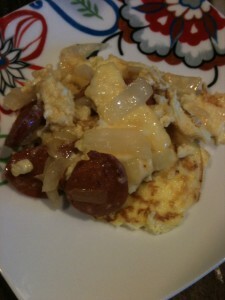 In a frying pan, saute the onions and hot links slices, add beaten eggs, cover with lid and reduce heat to low for 3-4 minutes or until eggs are set. Salt and Pepper, sprinkle with cheese of your liking. 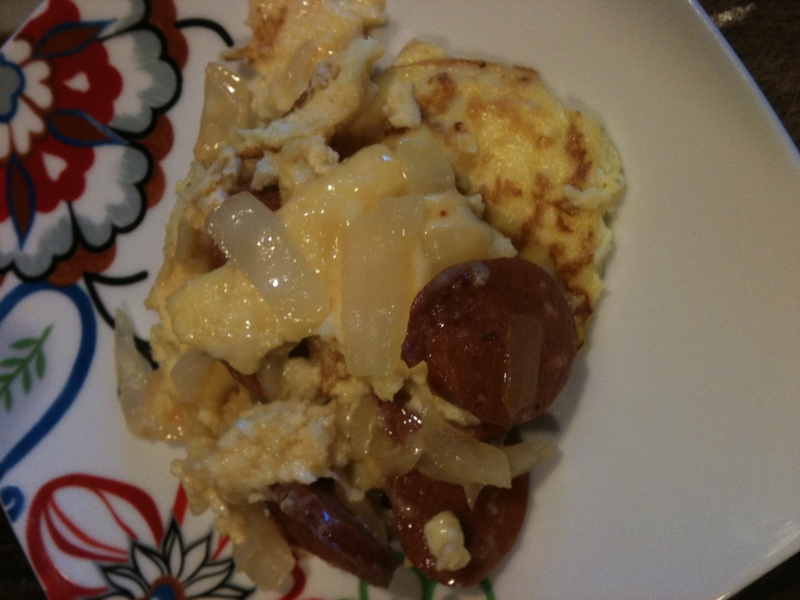 This entry was posted in Breakfast, Fan Favorites and tagged eggs, hot links, Onions. Bookmark the permalink.